I know you want a career, an exciting job in a field that is interesting to you, and I hope you find it--but until that happens, get a job, any job--a job that requires you to show up on time every day and that expects you to be self-directed and to stay until quitting time. One that pays decently would be nice too--but honestly, right now, get a job. The longer you don't have anything the more you look like a slacker to a potential good employer. There is an old adage--pay yourself first. I know that retirement seems like a lifetime away and that you see so many expenses coming your way before that time, but believe me, you can never start saving for retirement too early. Compounding is magical. You don't have to put a lot away,but earmark a few dollars every paycheck for a Roth IRA. You can open one at the bank or if you have $1,000, most mutual fund companies would be glad to have you as a customer. Why a Roth IRA? There are three main types of tax-advantaged retirement savings accounts. I talk about the 401k below and if you can't swing both your 401k and a Roth IRA, I'll give you a pass on the Roth. . While contributions to a regular IRA are made post tax and the account grows tax deferred, the problem with both the regular IRA and the 401k is that you cannot withdraw the money without paying taxes and penalties until you are retirement age (and at that point you will still have to pay the taxes). While Roth IRA contributions are post-tax, you'll never pay taxes on the earnings--which if you leave the account alone until you retire will be far more than the contributions. However, if you need money one day for a wedding, a car, a down payment on a house, or to stay home with my beautiful grandchild, you can withdraw your contributions with no penalty. For a young adult like you, the Roth IRA offers both the most long-term tax savings and the most flexibility to use your money for non-retirement needs. You'd be surprised how many employees leave money on the table. If your employer offers a 401k or other tax-advantaged retirement plan, the first thing you need to know is how to obtain the maximum amount of employer money in your account. Some employers match your contributions; others make straight up contributions. Almost all have a limit on how much they will contribute and your goal should be to obtain the most possible. Look at your company health insurance plan(s). Many companies offer a choice. Generally speaking, the lower the premium, the more you will pay out of pocket. Run the numbers; do the math. How often were you at the doctor's last year? How much did it cost? What is the difference in cost between the high priced plan and the low priced plan? Cheaper isn't always better,but you don't want to pay more than you need to. Does your company offer a flexible spending account? Find out the rules vis-a-vis what you can spend it on, and "use it or lose it". At least put enough in there for expected checkups not covered by insurance and for your regular medication. This is money you do not pay taxes on and it is money that in some offices you can spend in January and then spend the rest of the year paying off. No one cares more about your money than you do. You are an intelligent woman. You can learn about basic investment--the advantages and disadvantages of various categories, by reading my blog or any good basic investing book. You don't have to turn investing into a second job or even a hobby but you should have a good basic idea of what words like "stock" "bond" and "mutual fund" mean and how you can make and lose money. Another old saying is that it is easy to borrow money when you don't need it. Keep an eye on all those credit card applications you get in the mail and apply for one or two that don't charge a yearly fee. Keep them in your wallet for emergencies or use then as a convenient means of payment. DO NOT make minimum payments--unless it is an emergency (like a doctor's visit, not like a hot date for which you NEEDED a new outfit) if you can't afford to pay the bill at the end of the month, you can't afford to buy it. The main thing I'm thinking of is your car. We've been blessed financially and chose to bless you with your first set of wheels. Hopefully it will last you at least three more years. However, it isn't a new car and old cars need to be fixed and eventually replaced. Put some money aside every month for these expenses so you don't end up with a car payment. Remember that Girl Scout song? It works in life too. I know you are feeling kind of "tribeless" and it is hard to get used to a world where not everyone is your age and at your stage in life. Keep your eyes open and a smile on your face and let your beautiful personality shine through. You'll eventually find a whole new tribe. Don't Forget We Love You and Know You Will Succeed. and don't forget that one day we may need your help--yes even with cleaning if you can imagine it! I enjoy participating in Financially Saavy Saturdays because I get to meet personal finance bloggers and read what they have to say. However, the participating bloggers aren't the only ones with good advice for those looking to grow their nest eggs. This week I'm going to share some of my favorite personal finance and/or investing websites. This "freemium" site covers both personal finance and investing. While it costs $99 per year to subscribe to the premium services, including stock picks, the free portion of the site includes podcasts, articles and discussion boards. It is a good place for anyone who wants to learn more about the investing end of personal finance. Rockstar Finance aggregates content from other personal finance sites. My favorite is their "Feeds" feature that allows me to scroll through the headlines of all participating blogs. As of this writing, they are showing 205 articles published in the last 24 hours by the 1289 participating blogs. They also have a directory of all those blogs, as well as a forum and a place for you to advertise your services as a freelance writer, virtual assistant or social media maven. Daily Trade Alert is a blog about Dividend Growth Investing and find its articles to be well-researched and most of them are comprehensible to those of us with short attention spans and no math background. I especially like the "Undervalued Dividend Growth Stock of the Week" feature. Simply Safe Dividends is another site that provides information about dividend growth stocks. I may be the only personal finance blogger out there who doesn't care for Dave Ramsey but I don't care for him. I know he has helped a lot of people, and if you are one of them, more power to you and to him. I know his "snowball" is a psychological thing and that it can be motivating, but I have to shake my head at people paying off loans with 10% interest while only making minimum payments on those with 15% interest. I also didn't list Pinterest because I find that it has more eye-catching graphics than substantive articles. Mr. Money Mustache isn't on my list either, nor are other "financial independence" or "early retirement" bloggers. I also didn't list bloggers who write a lot of articles about rinsing and reusing plastic bags or extreme couponing. Put simply, I'm not poor and I don't choose to live as if I was. I don't buy designer clothes at full price but I enjoy having nice clothes, and my budget allows me to shop at mid-range stores, so I do. I have no desire to ride a bike to work and I want the temperature inside my house to be comfortable. If that means I have to work until I am Social Security age, then so be it. What are some of your favorite financial websites? Have you always wanted to stock, but never had enough money to invest? Have you heard about people getting rich via Apple? Do you love your iphone and want to buy the company? Well, today is your lucky day. Stockpile, an online stock broker I wrote about earlier this year, is giving away $5.00 worth of Apple stock. Today is the last day, so get yours while the getting is good. Is there a catch? Well, when you go to sell the stock, you will pay a $.99 sales commission, but other than that, nope. I got my Apple stock. Click here to get yours. Is It Too Late To Save? Many of us have read about how "John" saved an amount of money every year from the time he was twenty until the time he was thirty, and then never saved another penny, but, when ready to retire, he had more money than "Mike" who saved the same amount of money every year from the time he was thirty until the time he was sixty. That definitely makes you think that saving earlier is better than saving later and makes you wonder if you should even bother saving if you aren't young any more. However, there is another side to that story. According to this compound interest calculator, if you save $1000 per month for ten years, at the end of ten years you will have $155,929.29 if your return is 5% per year. If you then quit adding money and let it continue to compound at 5% per year, at the end of thirty more years, you'll have $ 696,652.20. On the other hand, the person who saves $1,000 per month for thirty years at 5%, will have $835,736.38. If you change the return rate to 8% the person who saves for 30 years ends up with $1,500,295.18, while her earlier saving sister ends up with $2,013,986.09. The moral of this story is that you only end up with more money in the end if the return rate is high enough. At first blush the idea of funding your retirement in your twenties, and never having to worry about it again sounds great, but is it as wonderful an idea as it seems? Is there a catch? First, inflation means that the money you save in your twenties is worth more than the money you save in your fifties. Second, most people get promotions, raises or better jobs as they get older. Even without inflation, $1,000 is a bigger part of your paycheck in your twenties than in your fifties. Third, for many people, their twenties and thirties are high expense years. My first adult job was in 1983. I was a first year school teacher so you know I wasn't getting rich, but I wasn't poor either. I made $14,300 per year. To buy the same standard of living today would cost $35,144.98. Using that $1000 per month figure, in order to not have to save today I would have to have saved more than I made (I don't remember exactly what my paychecks were back in the day, but I remember the first number was a "4". Assuming that job has only kept up with inflation, then $1000 per month today would only be 1/3 of my income. Big difference. As I said, my first job was as a teacher. Checking the salary schedule for that district, teachers get a $600/year raise for 25 years, so that the career teacher in her 50's makes about $16,000 more than the rookie. Again, all things being equal, it is easier for the older teacher to save. Some people graduate from college with no debt, get a high-paying job and continue to live rent-free with Mom and Dad throughout their twenties--and they should be ashamed of themselves if they don't save. 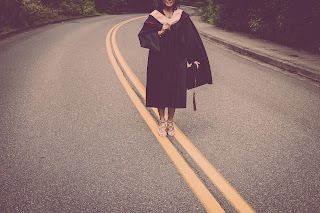 However, many people today spend their twenties paying off student loans while toiling in jobs that aren't quite what they want either career-wise or salary-wise. Others have children and the expenses that some with them, especially when they are young--generally either daycare bills or reduced parental income due to reduced hours working. Young adults are either paying market-rate rent or buying houses at today's cost while many fifty year olds have either finished paying off the mortgage or are paying a much lower mortgage than is normal today. The bottom line is that compound interest is a wonderful thing. The more you have, the more you make. The stock market has been on a huge roll this year, and our net worth has increased by an amount that is about what our paycheck are--and we've been spending those checks. However, by the time the average person/couple reaches their 50's they are earning their biggest paychecks and they have most major child rearing expenses behind them. If they are smart, their housing expenses as a percent of income are way down. Going back to the numbers in the first paragraph, if I had been able to save $1,000 per month at 5% for the first ten years of my working life (when I was making under $25,000 per year), and had never saved again, I'd have almost $697,000. If I had started with nothing at 50, and was aiming for retirement at 65, with a nest egg of $697,00 and got 5% per year on my money, I'd have to save $2625 per month. To put that in perspective, I've changed careers, but if I was teaching, I'd be earning $56,549 per year now. While saving $2625 on that salary would be hard, it is at least less than the salary--and hopefully I wouldn't be starting at nothing in my fifties. 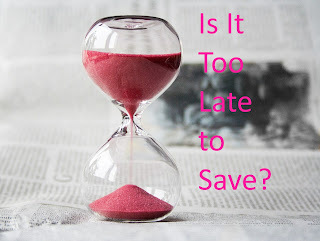 While saving earlier gives your money more time to compound, most people have some high-earning, low-expense years at the end of their career that allow them to bulk up retirement savings. While you should save what you can for retirement throughout your career, know that you will likely have some "catch-up" years to put you over the top. It seems that every time I turn around, someone is trying to sell me insurance of one type or another. It doesn't take a genius to figure out that the ones selling are making money--why else would they do it--but does it make sense for me? No matter the type or who sells it, insurance is a risk management tool. Insurance takes an unknown and turns it into a known. You don't know if you will require medical care next month, or if so, how much. It could be that you won't require any care; it is possible that you will be diagnosed with and treated for a long-term very expensive illness. It is possible you will have no medical bills; it is also possible you will incur hundreds of thousands of dollars in medical bills next month. Health insurance can't keep you from getting that serious illness, but it takes those unknown bills and turns them into a known premium, plus co-pays and deductibles. In the same way you do not know if your cell phone will spend the next year right where it belongs, or whether it will land in the washer or toilet. The insurance on the phone turns the unknown (will I have to replace my phone) into a known--the premium you pay. You need insurance to protect you from things you cannot afford to have happen. You'll note that I said "things you cannot afford" as opposed to "things you'd rather not do". Insurance companies are not charities. If they pay out more in claims than they collect in premiums, they go broke. Most people who are paying the full cost of their insurance (health insurance is different because employers and the government kick in so much of the cost) will pay more in premiums than they will receive via claims. Life insurance is money paid to your designee when you die, if you die when the policy is in effect. As more fully explained in this post, it is either good for a certain term, or something that is maintained throughout your life. The purpose of life insurance is to make sure no one suffers financially if you die. If the only hardship your death would cause loved ones is emotional, then you do not need life insurance. Burial Insurance is basically a type of life insurance that pays the proceeds of the policy to a funeral home rather than to he heirs. Reality is that we will all die one day. If you do not have enough assets to pay for your burial, and you are one of those people who will find a way to pay a bill, and a way to spend any extra cash, then burial insurance may be a good idea. Unless you die prematurely, the chances are very good that your family can bury you for less than what burial insurance ends up costing you. Some type of disability insurance is a common fringe benefit. Disability Insurance replaces part of your income if a medical or psychiatric condition makes it impossible for you to work (some policies specify unable to work at your current job). While Social Security offers some disability benefits, the standards for being considered "disabled" are generally higher for Social Security than for private insurance. Also, particularly for high earners, private policies can pay higher benefits. Disability insurance is usually divided into two types: Short-term disability cuts off after a few months, but generally kicks in after a few weeks. This insurance is designed to pay your family's bills if a breadwinner is sidelined with something from which they are expected to recover. Long-term disability generally has a longer "elimination" period--the time you have to be disabled before which you can collect on the insurance--but it can pay out for years. Health insurance is designed to help pay medical bills. As we all know, health insurance is a common fringe benefit of middle and upper income jobs. Health insurance obtained via the Affordable Care Act is subsidized by the government. Because of these subsidies and they way our healthcare system has developed, health insurance is involved in most healthcare transactions. This article talks more about healthcare and health insurance, but suffice to say that for many of us, our health insurance bill is one of our biggest. Your homeowner's policy pays to repair the damage done to your home by a covered peril. Covered perils include (usually) wind, fire, hail, lightning, snow or other "sudden emergencies" such as broken plumbing. . Homeowner's insurance policies do not cover floods, and in some areas they do not cover wind. Your homeowner's policy will also, if you choose, cover the cost of the contents of your home. In most states, a homeowner can choose between replacement cost or the depreciated value, but in no case will the policy pay more than the face amount. What that means is that you (or your mortgage company) decides how much you want to insure the house for. If you select $200,000, then $200,000 is the most the insurance company will pay, absent some special provision that says otherwise. If your policy pays depreciated value, and the 20 year roof you put on the house 19 years ago is damaged in a hailstorm, they will only pay 1/20 of the cost of a new roof. If you have replacement value coverage, they will pay to replace the roof, providing that replacement cost does not exceed $200,000. While I do not know about policies in other states, Louisiana has a "value policy" law. Basically, if damage exceeds 50% of the cost of the house, state law requires the insurance company to pay the face value of the policy. The purpose of the law is to keep insurance agents from over-selling policies. For example, if the cost to rebuild your house from scratch would be $200,000 and the house was 75% destroyed in a fire, in Louisiana, the insurance company would be required to pay you your policy limits, whether your policy was for $20,000, 200,000 or $2 million. You (with the approval of your mortgage company if you have one) can select a variety of deductibles, besides deciding whether your policy will cover replacement cost or depreciated cost. Of course, the more you would pay out-of-pocket, the lower the premium. While homeowners' insurance generally covers both the structure and the contents, renter's insurance covers the contents--generally the structure is the landlord's problem. The other thing that homeowers' and renters' insurance offers is personal liability protection. Basically if you get sued for many of the common things people get sued for, other than automobile accidents or business disputes, your homeowner's policy may pay for an attorney and cover any judgment. Floods are not covered by standard homeowners' policies. If you want coverage for floods you have to buy a separate policy. While these policies are sold by the same agent who sells your homeowers'/renters' coverage, they are underwritten by and covered by the US Government. While Allstate and State Farm probably charge different amounts for your homeowners' coverage, if they are quoting the same limits, both will charge the same for flood. Flood insurance policies are serviced by the company that sold them--my flood insurance bill comes from Allstate and if my house floods I'll call Allstate, which will send an adjuster. These policies may be called "umbrella" "excess" or "personal liability" but what they all do is provide another layer of coverage over your homeowners or automobile policy. Because the other policy pays first, these policies are able to offer a lot of coverage for a little money. They are primarily purchased by people with high net worths or high earnings. When you buy an appliance, a car or even electronics, you are usually offered the opportunity to buy an extended warranty which covers defects or some repairs. Sometimes (like with phones) you are offered the opportunity to insure it against things like dropping it. The thing to remember about these warranties is that you are betting against someone who knows the odds. If the warranty company pays out more in claims that it makes in premiums, it goes broke. In short, if you can afford to replace the item if it breaks, the odds are you will be better off not buying the extended warranty. Your automobile insurance policy, at a minimum, pays me if you cause an accident between us. You can also get insurance to fix your car if you are in an accident, to pay your medical bills if you are in an accident and to pay you if I cause an accident and do not have enough insurance to cover your damages. I wrote more about auto insurance here. If you have a mortgage, your mortgage company requires you to buy homeowners insurance, and sometimes flood insurance. The law requires you to have health insurance. Other forms of insurance are optional, so people wonder if they should buy them. As noted above, when you buy insurance, you are betting against someone who has spent a lot of time and money calculating the odds. Most people are not going to make money from their insurance company. You should buy insurance to protect you from things you cannot afford to have happen. If you are struggling to make the payments on your new car, you not only need standard auto insurance (with a deductible), you probably need gap insurance to allow you to pay off the car on which you are "upside down" so you can get another one. If you are driving an old car that isn't worth anything and you have money in the bank, comprehensive/collision coverage is probably overkill. If you are able to save money and have an emergency fund available, and are paying the full cost of your health insurance, the odds are you will be better off with a high-deductible plan. However, if lack of first dollar insurance coverage is going to keep you out of the doctor's office when you need to be there, you may need a lower deductible, especially if you are the type of person who will pay monthly obligations but who has trouble in unexpected bills. As I said earlier, the purpose of insurance is to protect you from things you cannot afford to have happen. 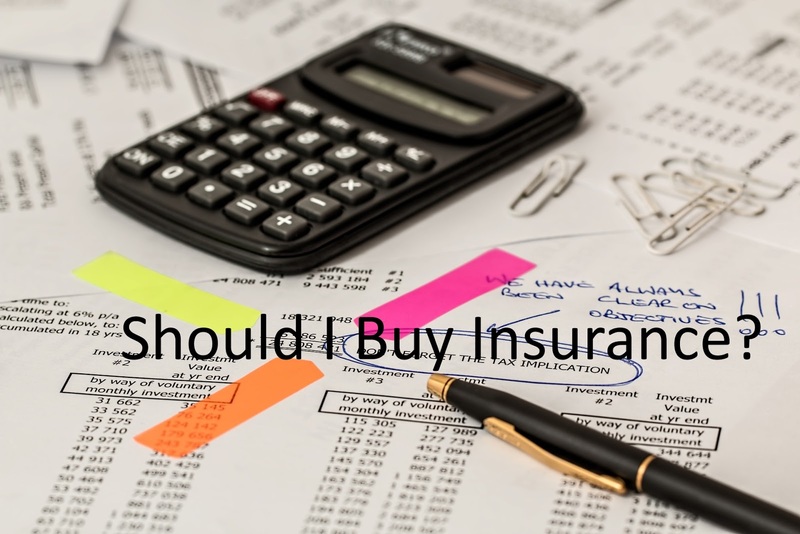 It is not there to meet routine expenses and if you try to buy insurance to use for routine expenses all you do is increase the cost of those expenses. Especially here in the Gulf South, Americans spent the last week watching as Houston flooded, and, as Americans usually do in times of crisis, we now want to flood Houston and its neighbors with help. As a resident of the New Orleans area who lived through the aftermath of Hurricane Katrina, I feel qualified to give a little advice. I know it is heartbreaking to see people trudging through floodwaters with garbage bags full of possessions, or to see them sitting on cots in a shelter waiting for help. I know you want to do something NOW but there are going to be a lot of needs in the days ahead. Don't rush and give to anybody, any group that is collecting. Find out who they are, what their experience is, and what they plan to do with the donation. 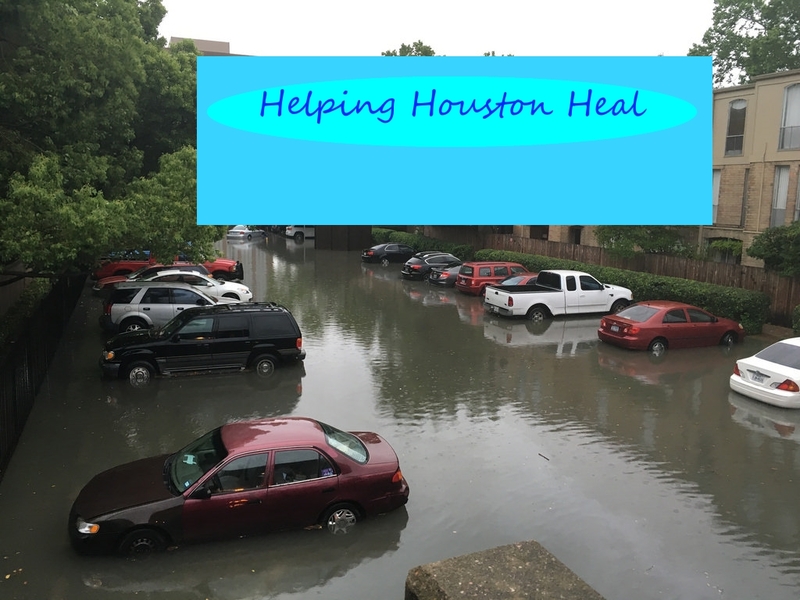 There are groups that are good at disaster relief, and if you know the group to whom you plan to give is, then go ahead, but if you drop off supplies, money or old clothes to the brand new "Houston Help Society" you may be wasting your time/money or you may be causing as many problems as you are solving. You've heard the old journalism adage: "If it bleeds, it leads". We've all seen the pictures of the roads that are underwater and the houses with water in them. However, according to the Washington Post, only about 30% of Houston flooded. The Associated Press, reported that 10% of structures in Houston flooded and that about 40,000 were heavily damaged. That sounds like a lot--and if it was your house that flooded, it is a lot to you. However, Harris County, which includes Houston, is home to 4.5 million people, meaning that if each of those 40,000 homes housed four people, then 3.5% of Houston's population is effectively homeless. 90% of Houston's population will be cleaning yards this weekend and about 7% will be cleaning up minor flood damage. Why does that make a difference? Shouldn't we care as much about a few as many? Yes, of course we should. What it means is that once the water goes back down and the roads are clear, the infrastructure will bounce back quickly. The need for charities to bring in "stuff" from elsewhere is minimal. Wal-Mart, Home Depot and HEB will be operating most, if not all of their stores within the amount of time you can collect goods and transport them to Houston. As I read somewhere on Facebook, if you want to donate your old clothes to the hurricane victims, have a garage sale and then donate the proceeds. Americans love to send stuff to people in distress but Houston does not need to be flooded with used clothing and stuffed animals. Even useful things like food and cleanup supplies can be a problem to store and distribute. If this was like Katrina where everything for miles around flooded and it took months to get the water out or the power on and where a huge percent of the population had evaucated out of town with only a weekend's worth of shorts, t-shrts and flip-flops, then bringing in stuff from outside the area was helpful because stores were not open. As of September 1, Home Depot is only listing one store as closed. No Houston Wal-Marts were closed. In short, I'm sure Wal-Mart's shipping and distribution system is more efficient than your friend from church loading a pick-up. The problem is that a lot of people (if 10% of structures flooded, that means about 10% of houses and 10% of the population, or about 450,000 people) now have substantial unexpected expenses. Many hourly workers have lost wages due to the city essentially being shut down for a week. People are going to need to clean out flooded homes, and replace flooring and furniture and automobiles. Many of these people do no have flood insurance and homeowner's insurance does not cover flood damage. While the federal government may step in with some type of grant programs, the reality is that there will be uninsured losses. If you want to help people in Houston recover from Harvey, send money, or send gift cards to stores like Home Depot, Lowes or Wal-Mart. Send the cards or donations to places like The Salvation Army, Catholic Charities, or other groups with experience in working the mass disasters. While it may make you feel good to think that your old jeans are being worn by a Harvey victim, most Harvey victims will be able to take their jeans to the laundromat or a friend's house and wash them. For the people who did flood it is may be heartbreaking to go through their home and throw away baby pictures, their grandmother's rugs or the box of family mementos. Kids are going to be upset that their favorite stuffed animals have hit the trash and there are over 40,000 families whose lives will be totally disrupted for a long time. Pray for them. Pray for those who lost loved ones in that terrible storm and pray that those storms in the Atlantic fizzle out before they threaten land.